*please note: i was not paid to produce the following content. the opinions are my own. gus mayer is having its "fashion that performs event" on thursday, july 23 to celebrate the launch of its brand new athletic department. there will be many activities and giveaways. 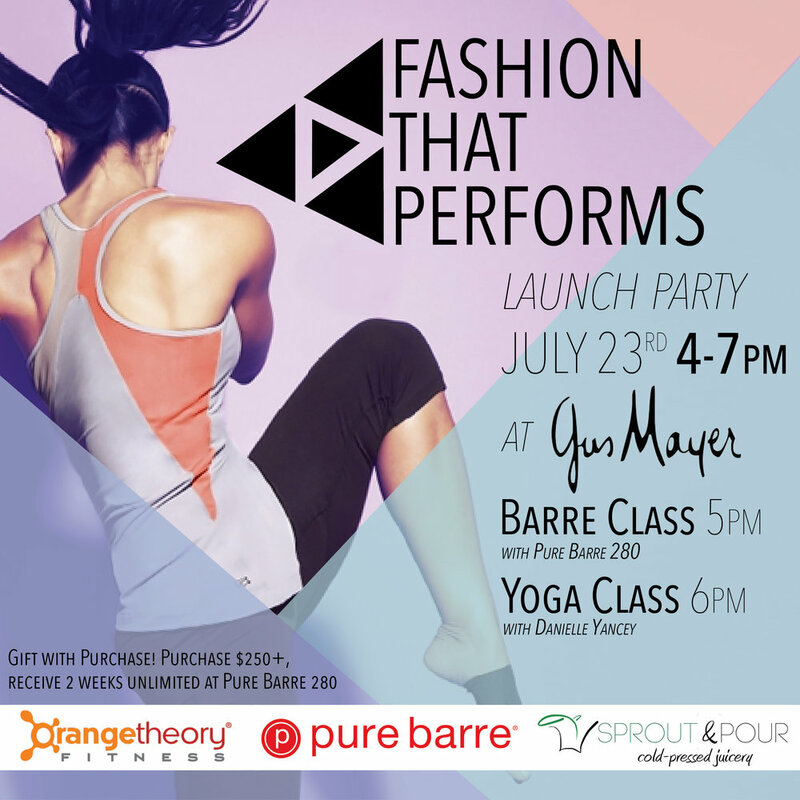 purre barre 280 will host a barre class at 5:00 p.m. and danielle yancy will host a yoga class at 6:00 p.m. orange theory will be giving away fantastic prizes. sprout and pour will have samples of their fresh cold-pressed juice. customers who purchase $250 or more in active wear at the event will receive 2 weeks of unlimited classes at pure barre 280.
i am excited to see what styles the department offers especially since i am getting back into the routine of working out. i am also looking forward to freshly squeezed juice! !